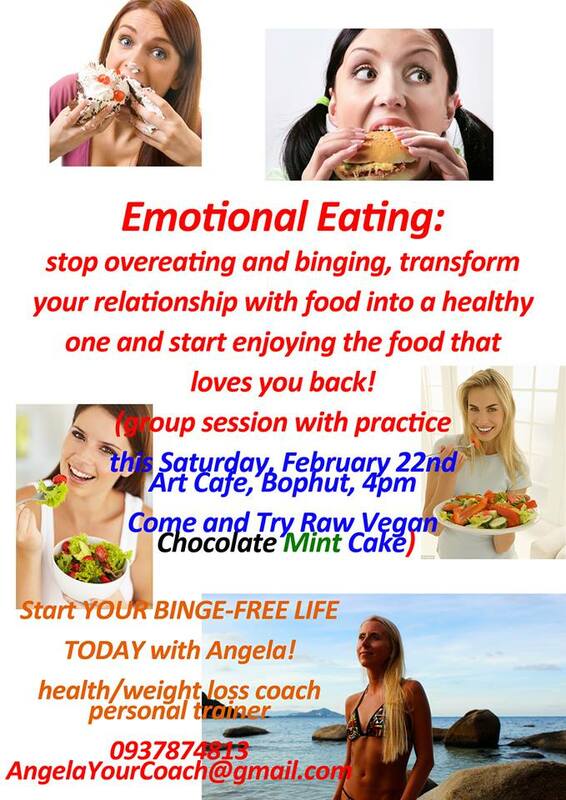 On Saturday 22nd of February island resident and nutritional expert Anzhela is holding a group session to help island residents with weight loss, general health and she will tackle the problems associated with emotional binge eating. If you struggle with weight and health issues, if you have a lot of questions to be answered, if you want to improve your health/weight and quality of life as a result making small changes every day then make a date with health corner and Anzhela and find out what you can do today for better health, quality of life, pleasurable weight loss. Email Anzhela for details at anzhelashurina@gmail.com. You are all invited to a party!